But product designers Westley Nunn and Diana Wu are trying to draw the people of this bustling metropolis out of their cars and onto their bikes. We met up with the couple, founders of 1.61 Soft Goods, to discuss their history, designs and LA’s changing commuter culture. FvF has had a close relationship with 1.61 Soft Goods for a while now, selling their products in our shop, so it was a joy it sit down and talk with these two friends. Maybe you can start by saying a bit about your background. Where are you from and how did you end up in downtown LA working together? Westley: I grew up in Northern California and went to college at Long Beach State. That’s where I met Diana. After I graduated from college I lived in Long Beach for a while, then moved to downtown LA because of work. That’s where I started making bags. After Diana graduated she joined me. 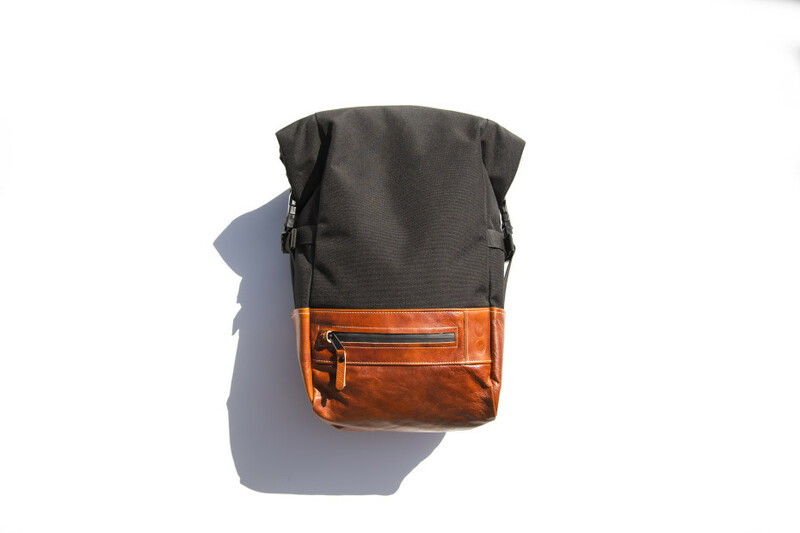 Our business began with the backpack. It was our first major product. We designed it for commuting by bicycle, so we wanted something that was durable. For the leather used for the FvF edition, did you already have that in mind or was that a new source for you? Diana: I feel like these details are the most important thing, they make products shine. We care about how the corner is rounded and how we finish the edges. These little things probably aren’t noticed by the customers; they’re just for us, it’s what we take pride in. Diana: We wanted to stick around downtown LA. I like the energy of the place, and how it reflects our products. We want our products to be used by urban dwellers. It’s a long process but we’re slowly making it our nest. Westley: We showcase at events such as West Coast Craft. At those shows, people buy our backpacks who don’t normally buy online. When they see it in person they can feel it and touch it and see how it works. So it’s a lot easier to sell to them. That’s our biggest challenge really, to convey how our craft works and the philosophy behind it. I think we are still in that age of trying to connect the brick and mortar and online business together. If this interview has sparked your interest, we stock 1.61 Soft Good designs in the FvF Shop. Check out other FvF guests from Los Angeles, including Tracy Wilkinson who introduced us to Diana and Westley.